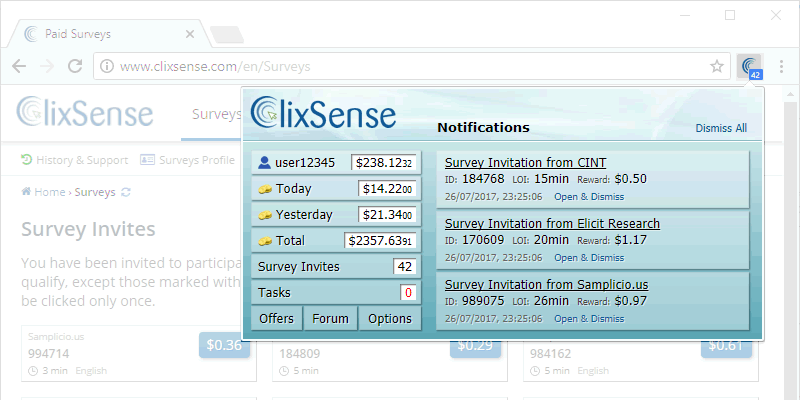 Keep track of your account status at the click of a button and get instantly notified of new Surveys and Figure Eight Tasks as they become available. * For Desktop Browsers only. The ClixAddon is not available for Mobile platforms. 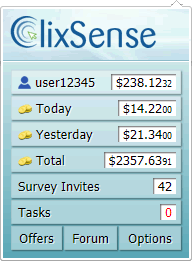 Members who use the ClixAddon are likely to gain access to surveys and tasks earlier than most!